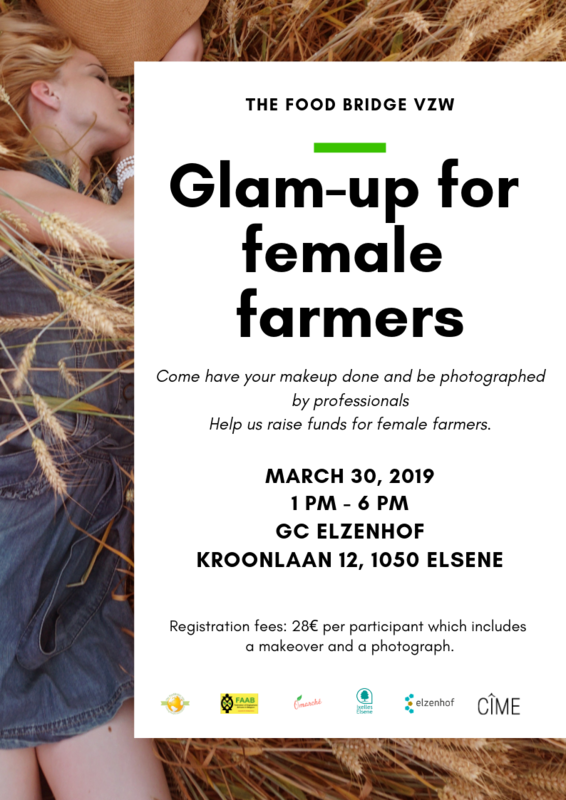 The Food Bridge vzw in collaboration with Gemeente Elsene, FAAB vzw, O'Marche, Single Mothers' Hope Foundation Uganda and with the support of CIME-Skincare, is organizing a Glam up for female farmers event in Brussels. Many of the products used in the cosmetics industry, are produced from raw materials grown by female farmers. Yet many of the women who work in farms or affiliated sectors especially in the developing world, will never have access to these products or an opportunity to use them. So we want to engage the global sisterhood who have the opportunity and access to these products, just for a day to glam up for a female farmer. Funds raised at this event will be used to support female farmers organizations and agro food entrepreneurs. Our expert volunteers from the cosmetic and fashion industry will have different stands where they will give make-up or hair make over and advice to participants. After each makeover, the participant will then be photographed and she will have the picture as a souvenir. If a participant wants more copies or a bigger size of the picture, she will have to pay extra for this. Each participant will pay a registration fee of 28€ (The Food Bridge BE 33 0017 5988 5346 with communication : glamup Brussels ) , which entitles her to a makeover and a photograph. 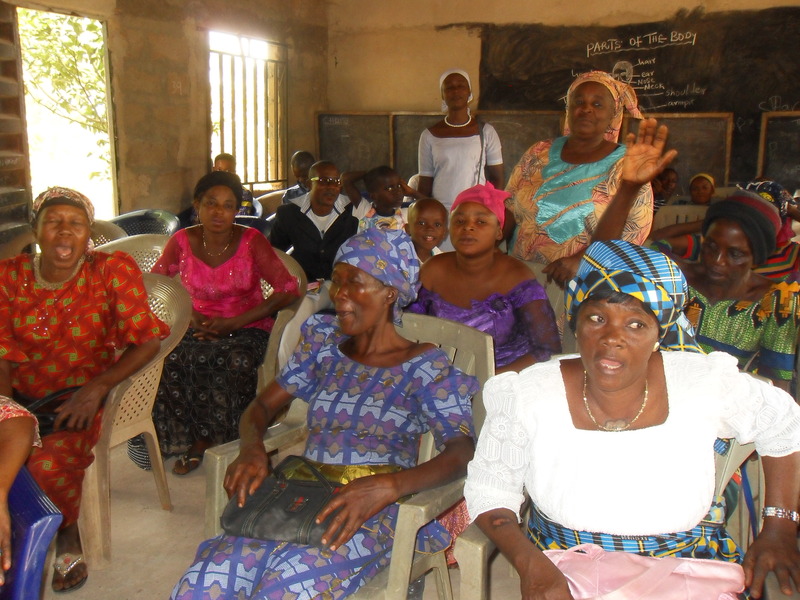 The conservation project of the Network of Indigenous Food Systems, created by the Food Bridge vzw has started in Eastern Nigeria. The aim of this project is to work with local farmers to create a viable circular economy, that supports the growing and marketing of nutritious indigenous crops especially those that are at risk of extinction. We kicked off the sessions with informative sessions. First learning of the challenges preventing farmers from growing more indigenous crops, we explained to the local farmers the benefits of the project. Not only will they be supported to grow selected indigenous crops in their localities, they will also he assisted to access profitable markets with their products. 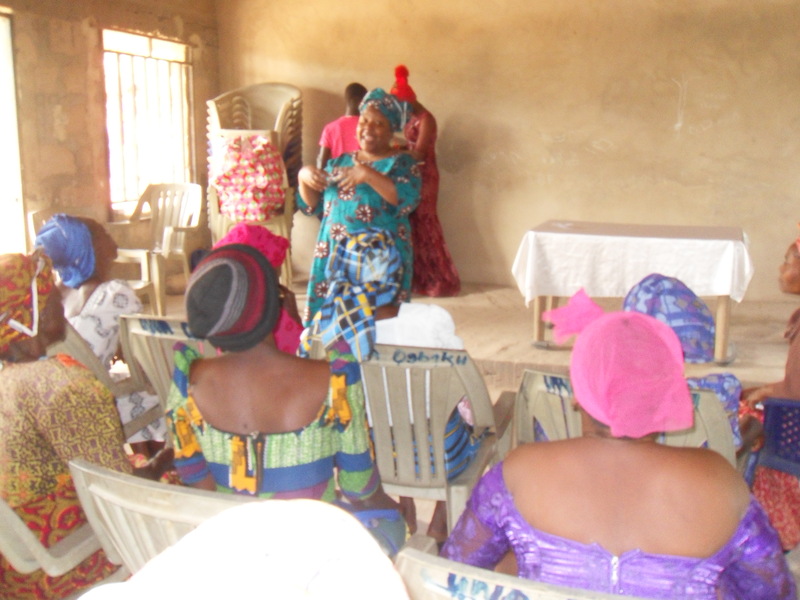 The local farmers participation in this project in Ogbaku Agwu local government Area in Enugu State, was facilitated by Canon Levi and Mrs Julie Anyikwa. Through their local knowledge of the farming communities, we were able to also involve Prof Nzelu, who is already working on data collection of indigenous food crops from Eastern Nigeria. She will be the project adviser in the region.